Officials from Allscripts, Cerner, Epic and two dozen other electronic health record vendors called for timeliness and clarity on requirements for MACRA’s Quality Payment Program in comments submitted to federal agencies on Wednesday. The members of the HIMSS Electronic Health Record Association submitted the comments this to the Centers for Medicare and Medicaid Services and the Office of the National Coordinator for Health Information Technology on two crucial proposed rules: MACRA and the Trusted Exchange Framework provision in the 21st Century Cures Act. 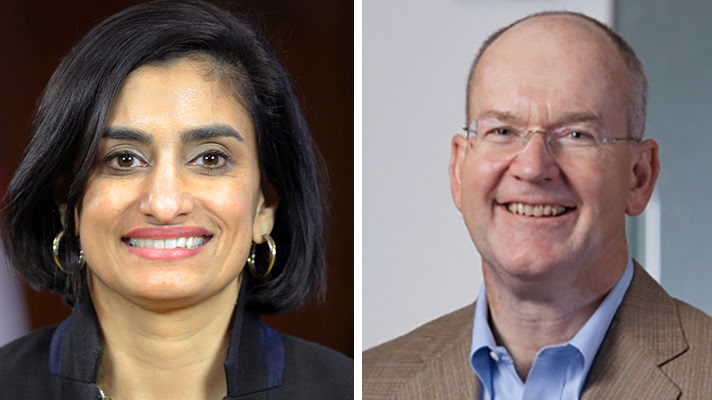 In the first letter to CMS Administrator Seema Verma, the 30-member group thanked CMS for involving providers in the design of MACRA, and for the flexibility it has promised in various aspects of the QPP. But it expressed concern that "repeated delays in program implementation timelines, as we have seen over several regulatory cycles, as well as a continued lack of clarity around requirements" could discourage provider groups from adequately preparing for the performance improvements required under the Merit-based Incentive Payment System. The group said it was reminded of similar delays in years past with meaningful use and ICD-10 rules. Such uncertainty "can condition providers to delay implementing necessary and beneficial changes in technology and its use in clinical practice," they wrote. Healthcare providers and IT vendors have invested heavily in technology upgrades and process improvements, they said. "Being unable to realize a return on those investments because deadlines are moved creates disincentives to aggressive participation in future years. Overall, this pattern can inhibit the broader adoption of health IT, a necessary component to the transition to value-based care." It's imperative for CMS to get it right as early as possible in the rulemaking process, the group told Verma – arguing that mid-course changes in direction only waste the time and money of providers and tech developers alike. That said, EHRA offered several points about technology requirements for various components of the QPP. For instance, with the new virtual groups option for reporting to MIPS in 2018 "there remains uncertainty as to how data can and should be submitted for these groups," they said. "Many providers in small practices who may opt to form virtual groups will be using different EHR systems, which will require them to combine data prior to submission." Given those challenges in interoperability and data aggregation, the group called on CMS to set clear expectations as to how virtual groups should submit data across categories and from multiple systems while ensuring their information is aggregated and reported correctly to maximize the group’s composite performance score." MIPS grades providers based on their performance across four categories, and the association had detailed suggestions for Verma and CMS about the requirements for how EHRs can support Improvement Activities, Advancing Care Information, Cost and Quality components. Meanwhile, in a letter to National Coordinator for Health IT Donald Rucker, MD, the EHR Association offered its thoughts on the Trusted Exchange Framework and Common Agreement – key interoperability provisions contained within the landmark 21st Century Cures Act, signed by President Barack Obama in December 2016. Chief among EHRA's suggestions: The trust framework should be "voluntary, with future work building upon existing standards and technology approaches for interoperability." The association also reiterated its support for secure exchange and nondiscrimination in data-sharing; urged ONC to build upon the substantial investments already made by various provider and vendor stakeholders rather of introducing disruptive mid-course changes; and pointed out that some comment areas proposed by ONC seem to go beyond specific requirements of the Cures Act, and should be classified as policy goals rather than statutory requirements. The group also offered a long list of technical suggestions related to standardization, transparency, security, patient safety and more.